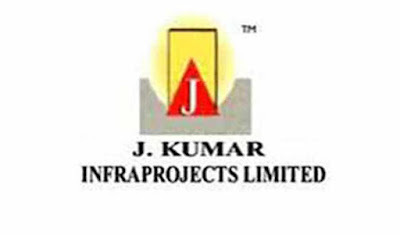 J Kumar Infraprojects has received Letter of Acceptance (LoA) for 4 projects. The company has received LoA from UPRNN for the construction of Emergency Medicine, Clinical and Ward Area in the premises of SGPGI, Raibareli Road, Lucknow for and amount of around Rs 176.66 crore, while LoA from Maharashtra Metro Rail Corporation (Pune Metro Rail Project) for the Design and Construction of Elevated Viaduct of Pune Metro Rail Project for an amount of around Rs 388.59 core. The company also received LoA from Metro - Link Express for Gandhinagar and Ahmedabad (MEGA) Company - Variation order for Construction of Balance Civil and E&M Works at Rabari Colony, for an amount of Rs 90 crore and another order from DMRC for Part design and construction of viaduct and 5 elevated stations of metro Corridor (Line-6) of Mumbai Metro Rail Project for an amount of Rs 867.75 crore. J Kumar Infraprojects is engaged in construction activities. The company designs and constructs roads, bridges, flyovers, subways, over bridges, skywalks and railway terminus/stations, among others.